Vending machines are popularly seen on high school or college campuses, but they generally dole out snacks in exchange for money. 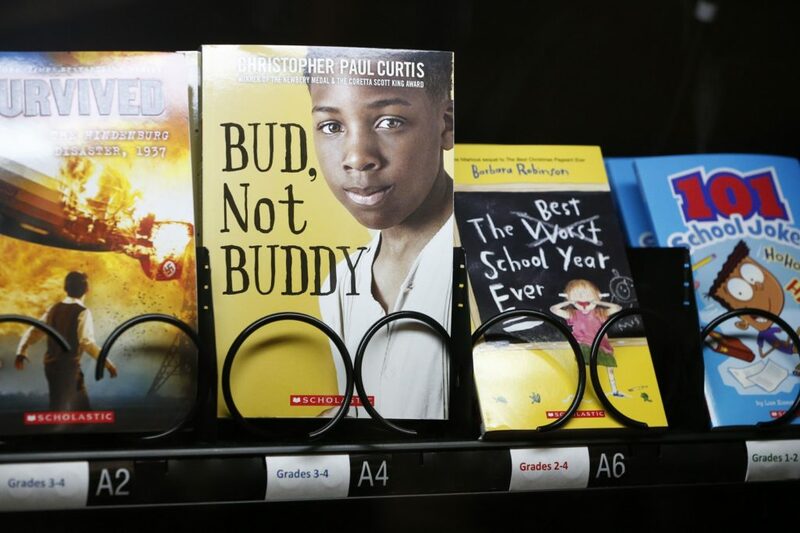 This vending machine is different not only in that it’s located in an elementary school, but also in that it gives out books. Not only that, but it doesn’t cost anything for kids to receive one. 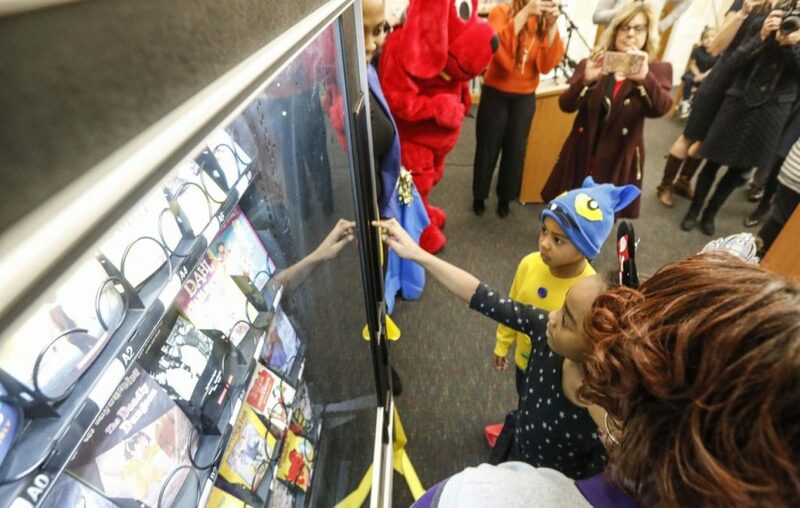 The book vending machine is a part of Arthur O. Eve School of Distinction #61’s reading program. The school, which is located in Buffalo, New York, is trying to encourage its students from kindergarten through fourth grade to give reading a chance. The vending machine is a huge part of that program and will incentivize reading in an exciting new way for the students. The newly installed vending machine just arrived, but it’s actually been the result of a year of planning and fundraising. 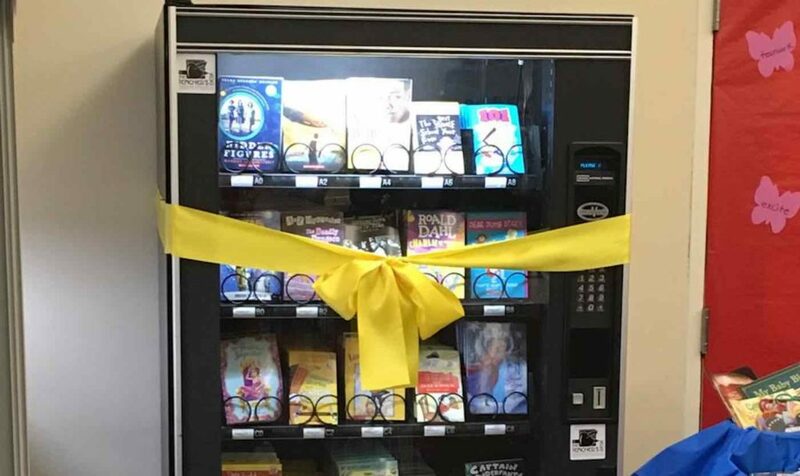 Not only did the school purchase the customized vending machine, but also stocked it with $1,000 in books. How does it work? Kids in the school use a classroom rewards system to earn free tokens for reaching certain milestones or achieving certain things. From there, they can take the tokens that they earn and put them in a vending machine and select the paperback book they want. After that, the book is all theirs! The books include a range of classic favorites such as Roald Dahl’s Charlie and the Chocolate Factory and Dav Pilkey’s popular Captain Underpants books. The vending machine was the subject of a lot of talk on Twitter, where author Dee Romito called upon other writers and publishers to help keep the vending machine stocked so that the program can remain strong.